The classic beach honeymoon has long been a favourite of newlyweds. With warm sunshine, soft sands and beach bars open until all hours, what better way to celebrate your nuptials than by relaxing side-by-side on the shores of an exotic paradise? Here at Destination 2, we can help you find your perfect luxury beach honeymoon at a price you’ll be able to afford. So grab your sweetheart and look through our romantic holidays, and find your perfect beach honeymoon. When many people think of the Caribbean, they envisage stunning white beaches, turquoise waters and a laid-back lifestyle. You’ll find all of this and more on these beautiful islands, making the Caribbean a fantastic choice for a romantic beach honeymoon. 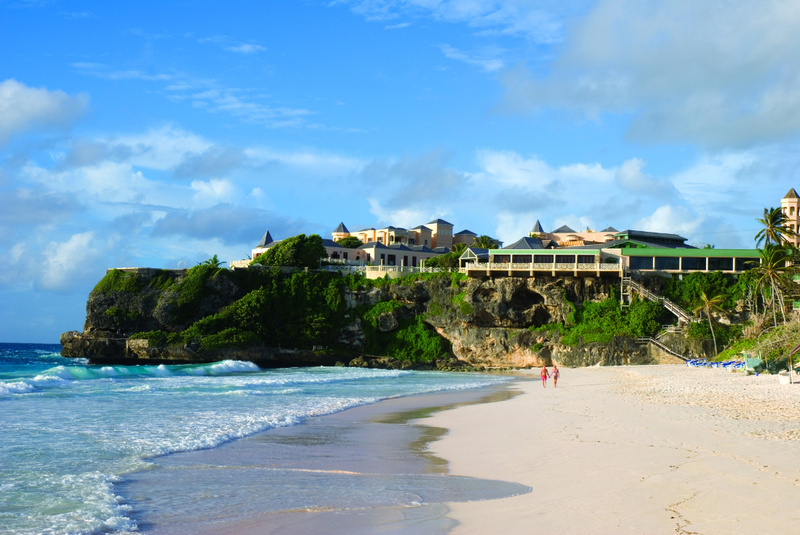 The pink-tinged Crane Beach in Barbados is the perfect setting for newlyweds who enjoy watersports. There are some pretty impressive waves here, so it’s a surfer’s paradise, and with it’s stunning palm groves and gorgeous scenery, it’s a great place to soak up the sun with your partner. 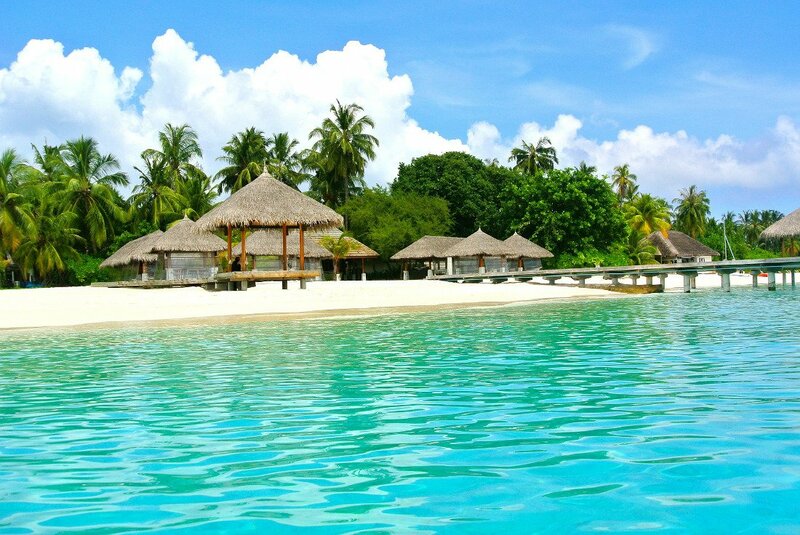 The Indian Ocean is home to hundreds of stunning islands, all offering a little slice of paradise to newlyweds. Located southwest of Sri Lanka, the Maldives is an archipelago of hundreds of tropical islands, all with incredible beaches and year-round warm weather. Another fantastic choice for the perfect luxury beach honeymoon is the island of Mauritius. Located to the east of Madagascar, this tropical paradise is home to a wide selection of stunning white beaches. For breathtaking scenery, visit the Flic en Flac Beach at sunset. Here you and your other half will be able to see the glorious Mauritian sun disappear into the ocean, filling the sky with a glorious show of reds, oranges and mauves. 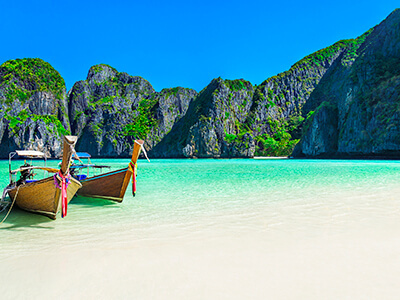 Newlyweds have long been falling in love with Thailand and all the beaches it has to offer, but one of the best places to go for a luxury beach honeymoon in Thailand is Koh Samui. Thailand’s third largest island is home to the romantic Choeng Mon beach, which is a quiet slice of paradise where you can soak up the sun with your sweetheart. This beach is also just five minutes from the world famous Big Buddha, so you can set off for some sightseeing if you fancy a break from your sun lounger.